Upgrade to DaVinci Resolve Studio for even more creative tools and options. 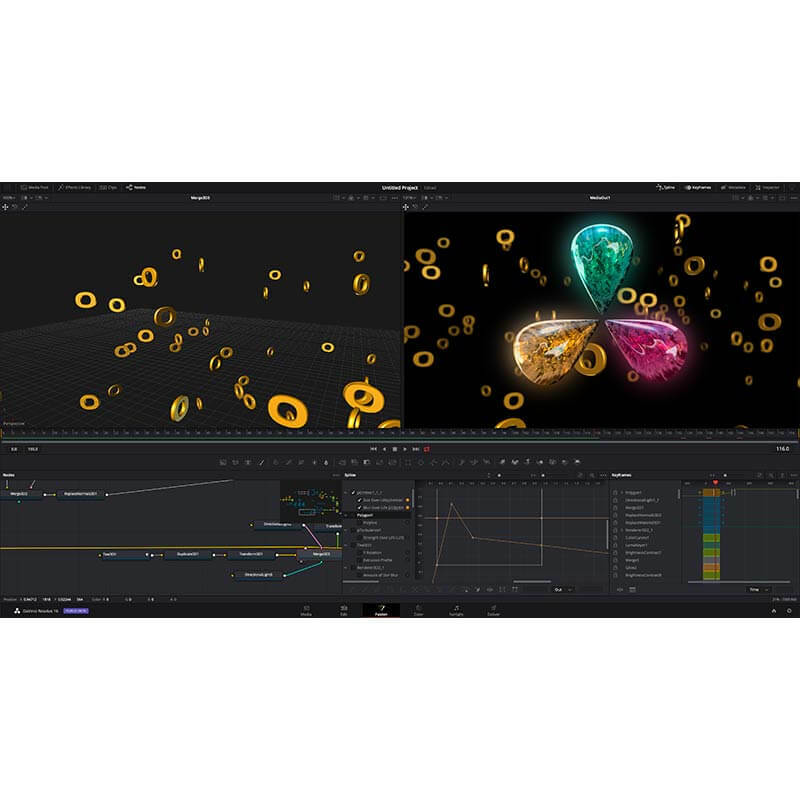 You get a huge set of indispensable ResolveFX and FairlightFX plugins, along with support for 4K, 8K and higher resolution projects at frame rates up to 120 frames per second. You also get the new DaVinci Neural Engine which enables features such as facial recognition, speed warp retiming, automatic colour balancing and automatic colour matching. 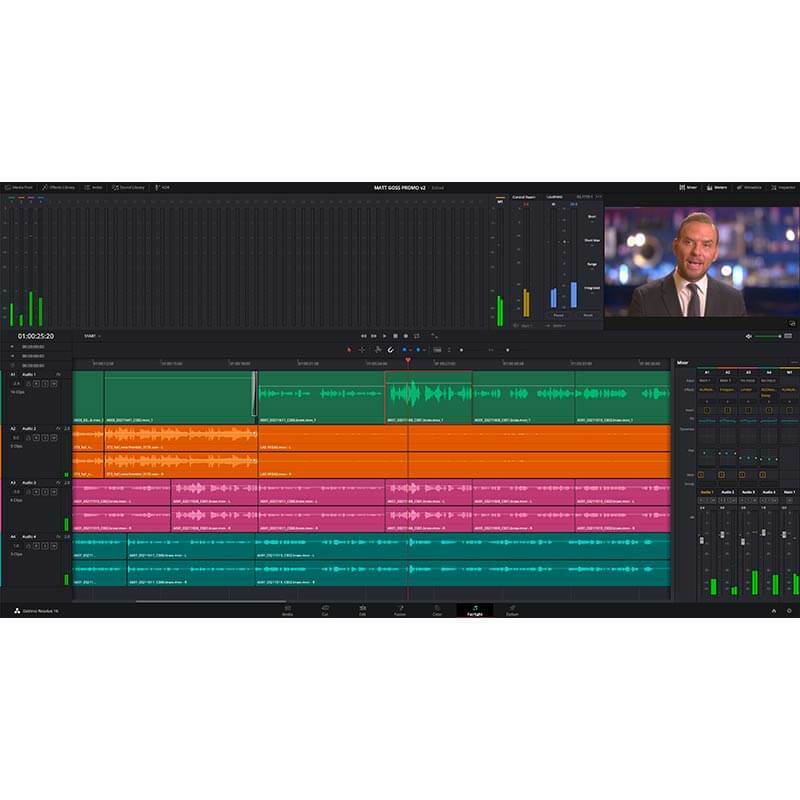 DaVinci Resolve Studio also adds film grain tools, advanced noise reduction, blur and mist effects, HDR grading, 10bit H.264 support, 3D immersive audio, stereoscopic 3D support, multi user collaboration tools and more. The new DaVinci Neural Engine uses state of the art deep neural networks and learning, along with artificial intelligence to power new features such as speed warp motion estimation for retiming, super scale for up-scaling footage, auto colour and colour matching, facial recognition and more. The DaVinci Neural Engine is entirely cross-platform and uses the latest GPU innovations for AI and deep learning to provide unparalleled performance and quality. The DaVinci Neural Engine provides simple tools to solve complex, repetitive and time consuming problems. For example, it enables facial recognition to automatically sort and organize clips into bins based on people in the shot. DaVinci Resolve Studio 16 features major improvements to existing ResolveFX, along with several new plugins that editors and colourists will love. You get new ResolveFX plugins for adding vignettes, drop shadows, removing objects, adding analog noise and damage, chromatic aberration, stylizing video and more. There are also improvements to the scanline, beauty, face refinement, blanking fill, warper, dead pixel fixer and colourspace transformation plugins. Plus, you can now view and edit ResolveFX keyframes from the timeline curve editor on the Edit page or from the keyframe panel on the Colour page. 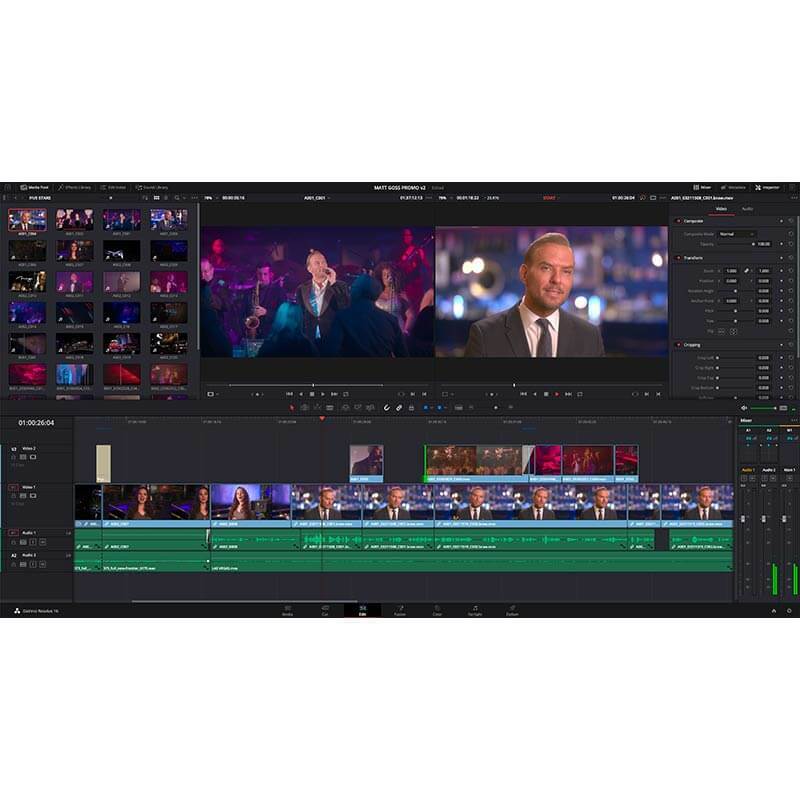 Unlike cloud based software, DaVinci Resolve Studio does not require a connection to the internet and there are no monthly subscription fees. 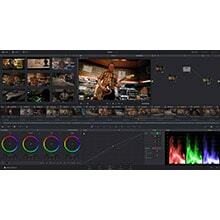 DaVinci Resolve Studio is only £239, which is 50% less than the cost of popular cloud subscriptions. 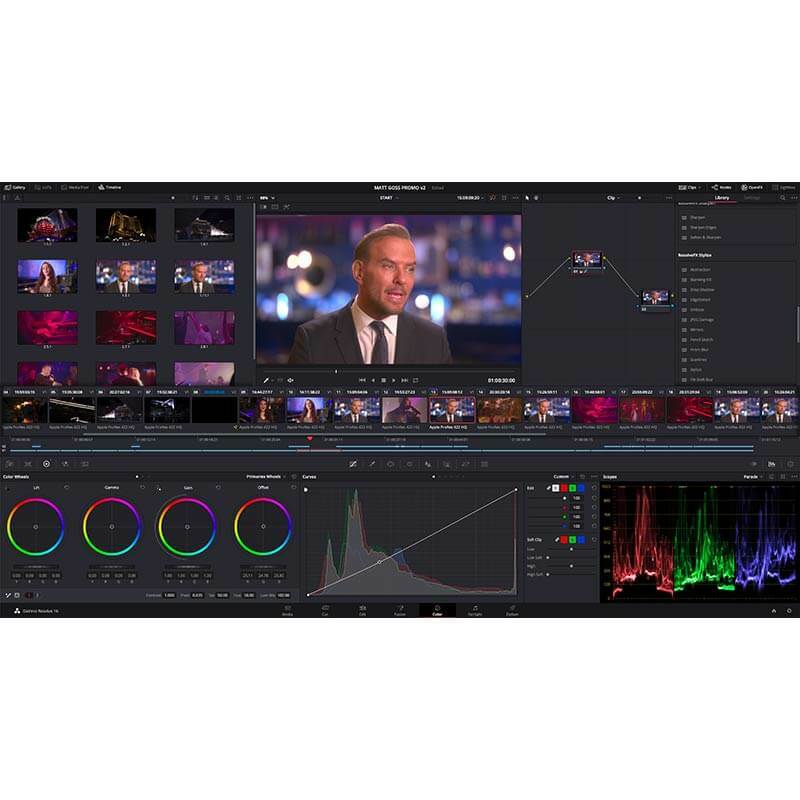 Plus, you get full nonlinear editing, advanced colour correction, Fusion effects and motion graphics, and Fairlight professional audio tools, all included in the one easy to buy solution. It’s like getting 4 high end professional applications for the cost of one. DaVinci Resolve’s Emmy™ award-winning image processing technology features deep 32-bit float processing combined with unique, patented YRGB colour science that processes luminance independent of colour. This allows you to adjust the luminance of video without rebalancing the colour of your highlights, midtones, or shadows. The massive internal colour space is perfect for the latest HDR and wide colour gamut workflows. 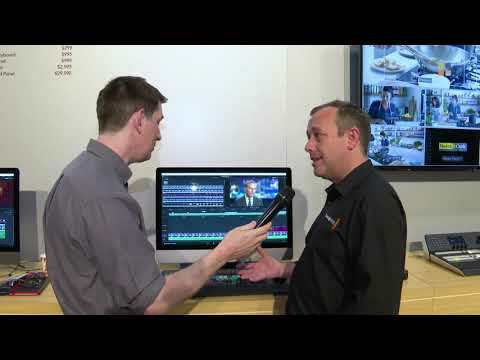 Blackmagic RAW is a hybrid codec with an intelligent design that moves part of the de-mosaic process into the camera where it can be can be hardware accelerated by the camera itself. This gives you incredibly efficient encoding and small file sizes. Blackmagic RAW files are much more than just a simple RAW container because they combine image data along with information about the unique characteristics of the camera’s sensor. This gives you much better image quality, even at high compression settings. Plus, you get total control over RAW settings such as ISO, white balance, exposure, contrast, saturation and custom colour spaces. 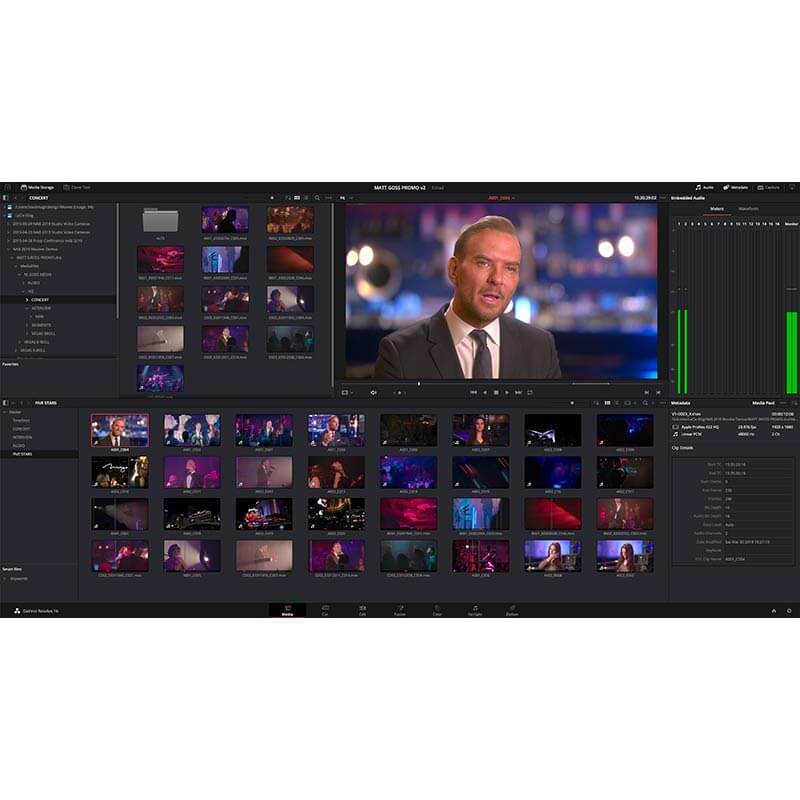 Blackmagic RAW also includes extensive metadata support including user customizable sidecar metadata files, plus GPU and CPU acceleration, new Blackmagic Design Generation 4 Colour Science, different encoding options for constant quality or constant bitrate and more.